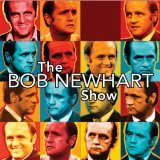 Bob Newhart Show premiered on September 16, 1972. The series is about Bob Hartley, a Chicago psychologist and his wife Emily, a school teacher. Bob's firiends include Bill Daily, as divorced neighbor, orthodontist Jerry Robinson, and his receptionist Carol Kester Bondurant.